Looking for private in-home or in-studio Trumpet lessons? Our Oakhurst teachers are ready to get you started. Find your teacher today! After playing French horn for 3 years, I decided to try to play Trumpet. It ended up being very natural to me and so I performed on both Trumpet and French horn in High school. I played the French horn for our Orchestra and Wind ensemble and Trumpet for our Jazz ensemble. I fell into a position when I was 15 to be a brass coach of a Montessori school and taught mostly Trumpet for the 3 years that I was there. Today, I play the Trumpet for fun! Beginning trumpet lessons. Learn how to breathe properly and play notes. Get ready for beginning band or just learn some basics. I've been teaching trumpet for 20 years and my students have gone on to the State level Band Auditions and won multiple times. Within the first few lessons, you'll be able to make a decent sound, play scales, arpeggios and simple tunes, and as time goes on you'll be able to play popular tunes solo and with accompaniment of piano or band. I specialize in classical, jazz and klezmer style, typically use best published books, and have the renovated, quiet and spacious studio, music stands, audio equipment. I love working with students of all ages and experience levels and I can't wait to meet you! Music studio offering clarinet, saxophone, flute, trumpet and recorder lessons taught by the Principal Clarinetist of the Livingston Symphony Orchestra. - Selected from over 500 students to participate in the North Jersey Region 1 Honors Elementary Band Festival (May 2016). and Advanced Wind Ensemble (2014-2015). - Successful audition to NJ Symphony Orchestra Summer Band Camp. * HS Central NJ Regional Symphonic Band (2013-2014, 2014-2015 & 2015-2016), HS NJ All-State Symphonic Band (2014-2015 & 2015-2016) and NJ Youth Symphony Orchestra (2013-2014 & 2014-2015). - Successful audition for 1st chair in HS Band (2015-2016). - Successful audition to Lakeland Youth Symphony (2014-2015). - Successful audition to NJ Youth Symphony Orchestra (2014-2015), Middle School North NJ Regional Symphonic Band (2014-2015 & 2015-2016), and Interlochen Arts Camp in Michigan (Summer of 2014 & 2015). For the past twenty years, Dimitry has been teaching students of all ages to play the clarinet, saxophone, flute, trumpet, and recorder. Students will learn proper techniques, posture, breathing, phrasing, articulation, tone, rhythm, sight reading, solfeggio, music theory, and music history. They will also learn to play solos (with and without accompaniment), as well as duets (along with the instructor). 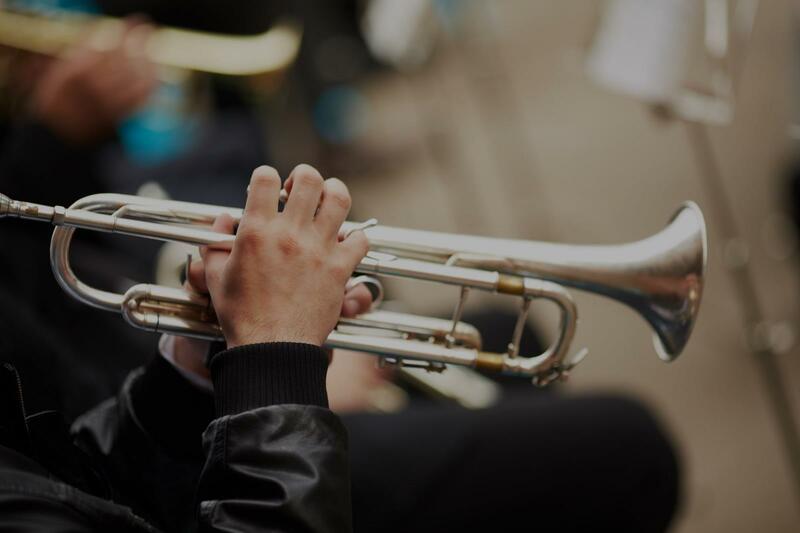 Private lessons are customized to meet each student's goals, such as preparation for regional and state band auditions, concerts, and other music competitions. Dimitry Chernavsky is the Principal Clarinetist of the Livingston Symphony Orchestra, the Co-Principal of the ​Hanover Wind Symphony, and a member of the ​'A La Mode' clarinet quartet. Dimitry is a graduate of Kiev Tchaikovsky Conservatory, where he received a Bachelor's and Master's Degree in Music Performance and Education. Our 12-year old son has been learning clarinet from Mr. Dimitry for about a year now and we highly recommend him to prospective students for his deep music knowledge, rich clarinet performance experience and above all, just being a great clarinet teacher. In a year's time with Mr. Dimitry, our son's progress has been very impressive. After our son started lessons with Mr. Dimitry, it quickly became apparent that Mr. Dimitry is a very experienced teacher for young musicians. He engages our son effectively to keep him interested in music and clarinet while at the same time sets high expectations for him. Our son always looks forward to clarinet lessons and also is motivated to practice pieces at home. Mr. Dimitry not only teaches sound clarinet skills, but also emphasizes the importance of playing music the right way, that is to tell stories and express feelings through music rather than to play music like a technician. Although it is difficult for a young musician to fully appreciate this concept, it does go a long way in preparing him to become a really good musician in the long run. Mr. Dimitry is very polite, pleasant and professional. We recommend him without any reservation. My 7 year old son has been taking recorder lessons from Dimitry for almost 1 year now. Dimitry is very patient, encouraging, and enganging - considering that my son is on the younger side. Dimitry provides music instruction that is appropriate age and level wise, so my son feels accomplished and challenged at the same time. We plan to continue with Dimitry and hopefully advance to the clarinet once his fingers can cover the clarinet holes and he has learned more music theory. My son looks forward to his music lessons. We are very pleased with his musical instruction. Incredibly amiable, professional, and talented as a teacher. As a senior in high school now graduating and transferring into college, I started my lessons with Dimitry in December last year and had to end this summer at the end of the music school's program. Even though my time learning the saxophone was short, Dimitry used my past musical experience to help guide me through the instrument. His lessons did not feel long in any sense of the word, and in fact some two-hour lessons I took to make up missed weeks blew by, as I was constantly engaged by his teachings. During my studies with him I found myself in the presence of a true musician, and this was only further driven home when I saw him play in the Hanover Wind Symphony at the Morristown Community Theater with Stanley Drucker. I would highly recommend Dimitry as an instructor for a student at any level. I throughly enjoy teaching trumpet to players at all age and ability levels. I teach in a very specific approach tailored to each individual player. I strive cultivate critical thinking when it comes to trumpet and teaching the student how to identify issues with their own playing and how to fix them. Hello! My name is Matt and I am a classically trained trumpet player based in the Austin, TX area. I completed my Bachelors of Music at James Madison University in 2015 and my Masters of Music at The University of Texas at Austin in 2018. I teach a private studio of over 30 beginner and intermediate level students in and around the Austin area. I strive to develop musicianship and technical skills related to playing the trumpet to every one of my students, regardless of their age or playing ability on a weekly basis. I am a musician that is passionate about learning as much as I possibly can and I want to pass this onto my students. full fellowship 2018 where I got the opportunity to take from world renown players and teachers from across the US. I competed at the National Trumpet Competition’s Graduate Solo Division in 2017 and Large Ensemble divisions at the 2017 and 2018, taking home second place with The University of Texas at Austin’s trumpet ensemble. While at James Madison University I performed with their world-renown British brass band and also served as Principal Solo Cornet for three years. While competing with the JMU Brass Band, I received first place and second place at the 2015 and 2016 North American Brass Band Association’s Adult Technical Solo competition respectively. I have also performed with the band at the Virginia Music Educator Conference, the American Trombone Workshop (formerly the Eastern Trombone Workshop), and at the 2012 International Tuba/Euphonium Conference in Linz, Austria. In 2015, I was also invited to attend the United States Air Force Band’s Collegiate Symposium in Washington, D.C.